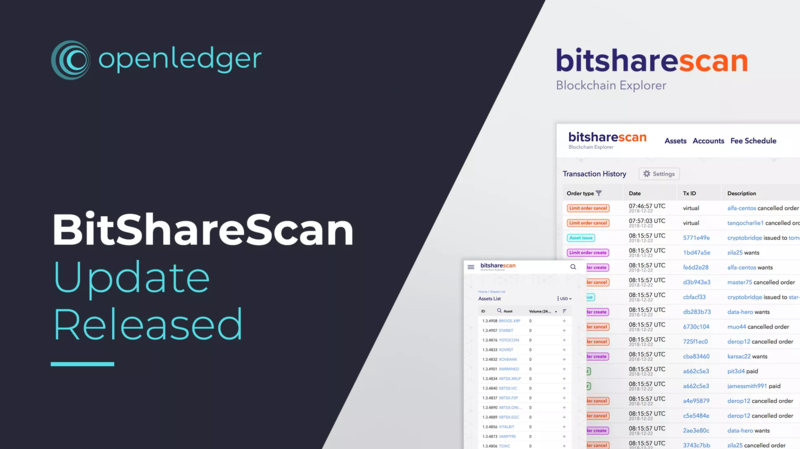 OpenLedger DEX Team is happy to introduce you to the update of BitShareScan , a block explorer and analytics platform on the top of BitShares. * New widgets appeared on the homepage and account pages to provide up-to-date information about the blockchain and accounts. * A switcher on the assets page that allows users to hide inactive assets. * New filters on the assets page to filter assets by type: UI, SmartCoin, and Core Token. * A price feed for smartcoins (displayed on smartcoin pages).